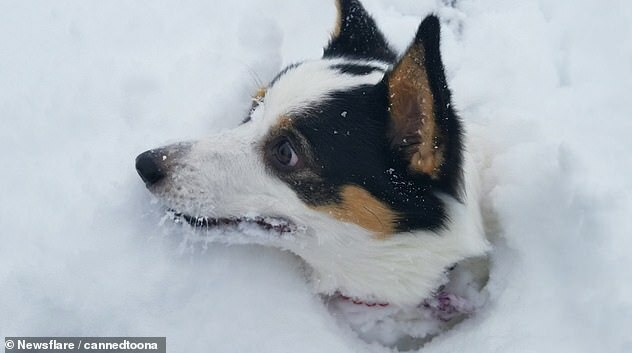 This is the adorable moment a corgi ploughs through more than two feet of snow to get back to her owners. 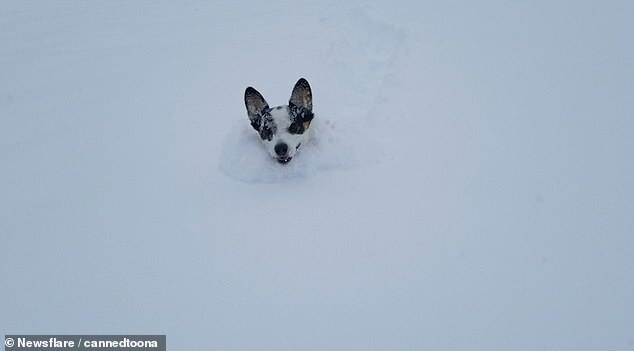 The adventurous pooch named Sketch swims through the thick white snow, with only her ears to guide her, after losing her trail and getting lost. 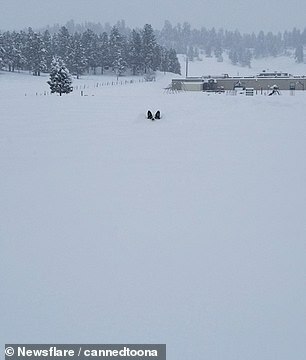 The footage, filmed on January 1 in Pagosa Springs, Colorado, shows the dog energetically jump over the snow-covered ground as her owners cheer her on. 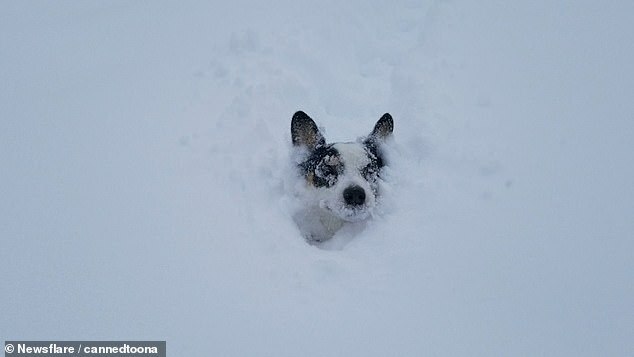 Refusing to be deterred from the gruelling task ahead of her, Sketch jumps though the snow as her owners call out to her. 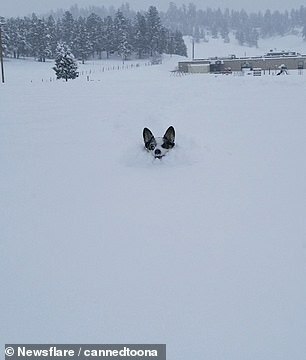 Sketch, whose ears are still above the snow, follows the voices of her owners before finally seeing them. 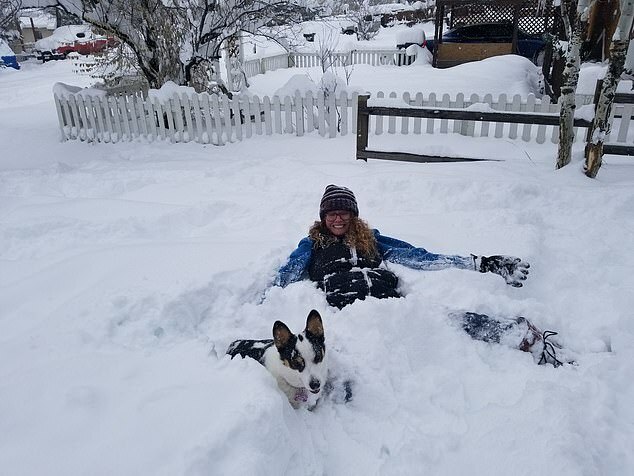 Soon the dog’s face is seen emerging from the white snow and her owner continues: ‘That’s a good girl come on. You got it. As the dog draws nearer, her owner proudly shares their delight at the pooch’s persistence and says: ‘Look at you swim. 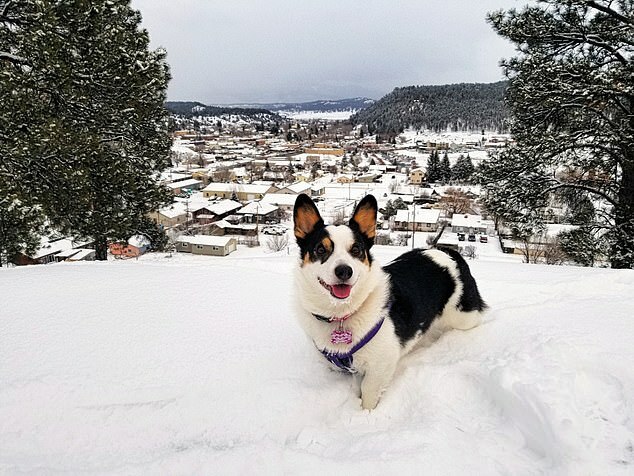 Good girl. After reaching her proud owner, Sketch receives a reassuring pat on the head.